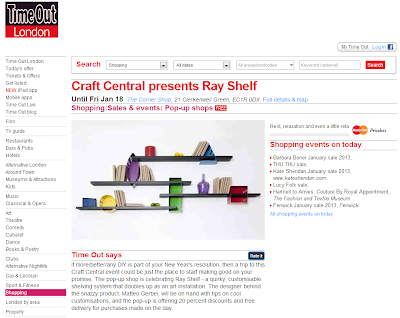 If more/better/any DIY is part of your New Year's resolution, then a trip to this Craft Central event could be just the place to start making good on your promise. 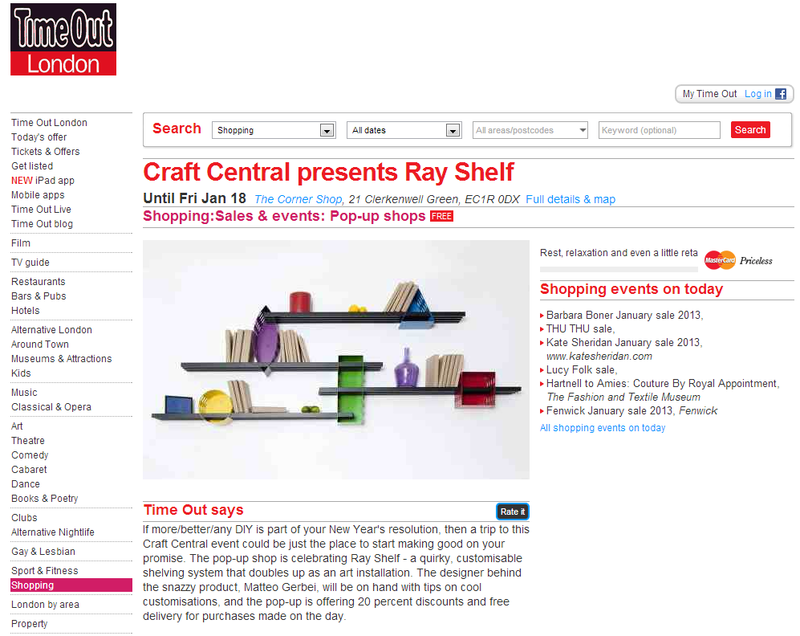 The pop-up shop is celebrating Ray Shelf - a quirky, customisable shelving system that doubles up as an art installation. The designer behind the snazzy product, Matteo Gerbei, will be on hand with tips on cool customisations, and the pop-up is offering 20 percent discounts and free delivery for purchases made on the day."